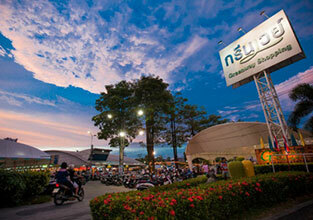 Hat Yai is the largest city of “Songkhla” Province. Hat Yai is the business and transportation center. 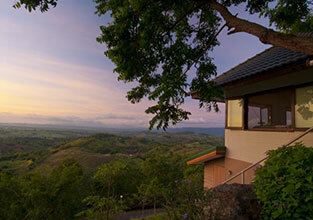 It is where international airport located with a lot of accommodations for tourists. 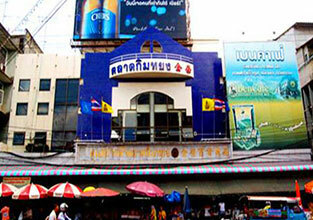 Kim Yong Market is a local market in the center of Hat Yai city. It is famous for it's imported snacks from Malaysia and Singapore. A lot of the imported snacks, like potato chips, are cheaper here then in the rest of Thailand.The market itself has many small stalls nestled on narrow alleyways. Here you can buy anything from clothes, fruit, snacks, nuts, food, fresh flowers and even make-up, perfume and more. Most of the Chedi in Thailand are built by stone. However, there is one differentiate built by Stainless. This is the world's first stainless steel Chedi, taking only 160 days to built. Its official name is Phra Maha Chedi Tripob Trimongkol but it is popular as Stainless Chedi. One of the most beautiful waterfalls in the south, which is located in the Ton Nga Chang Wildlife Sanctuary. From all seven levels of the waterfalls, the best part located on its third levels where the stream is separated into two akin to the elephant’s tusks which gives name to the waterfall. 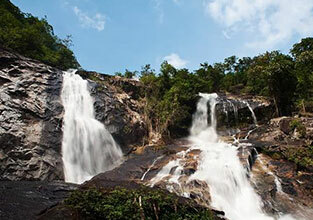 Khuan Khao Wang Forest Park located in Chalui Sub-district, Had Yai and Rattanaphoom District, Songkhla Province. It is part of Pah Khuan Khao Wang National Reserved Forest, Klong Tor Forest and Tuag Khao Kaew Forest, covered the area of 2,037.50 rais. The Royal Forest Department declared the area Khuan Khao Wang Forest Park on the September 12, 1995. Thailand’s first cable car takes tourists to worship the sacred things which is on the top of mountain from “Great Buddha Image to “Brahma Image”. By the way, you can see a beautiful view from the top hill to ground. 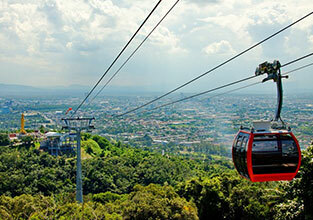 If you wish to see Songkha lake in Hat Yai, I recommended you try to take Hat Yai’s Cable Car.